What's The Least-Bad Version Of A Bad Car? For reasons I can't quite remember, I agreed to take a Chrysler 200 Touring as a press car this week. It's a "filler" press car in between cars I actually wanted to drive. To its credit, I think it's the least bad version of the Chrysler 200 they could make, which leads me to wonder what other cars were the least bad versions of their platforms? 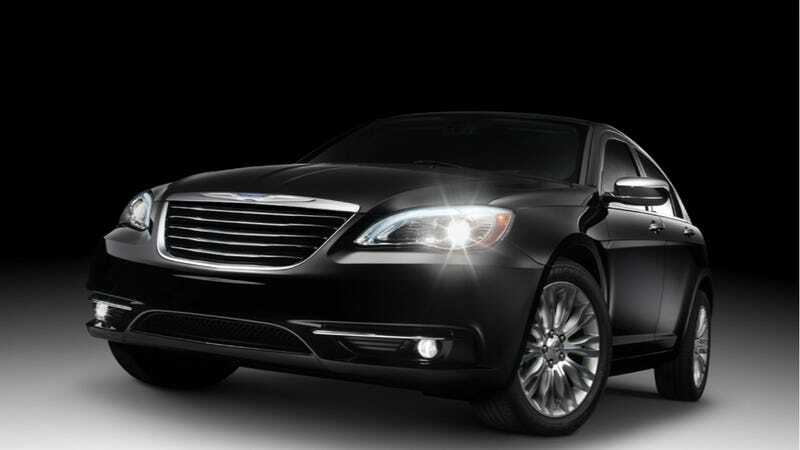 The Chrysler 200, as Chrysler itself is sometimes willing to admit, is terrible. The moment it debuted it was an also-ran (the proof of this is its ubiquity in car rental fleets). With not-great power, not-great handling, not-great style, not-great materials and not-great quality it was not great. While the pre-facelift Chrysler Sebring Convertible is definitely the worst version of this car, the redesigned Chrysler 200 Touring is, at least, not terrible. They charge a reasonable $25,000 for a nicely loaded version of it (that no one will pay). It has the newer Pentastar V6 which, at 260 lb-ft of torque, manages to work with the six-speed automatic to pull a 0-to-60 mph time in the mid-6s while still churning out an ok 29 MPG highway. It looks bad, but not awful, which is an improvement. I don't hate the 18-inch option wheels and the interior, while not as nice as the competition, isn't entirely uncomfortable. Short of turning this into an El Camino or Shooting Brake, this is probably the least-bad you could make this particular platform. Obviously, you still shouldn't buy it, but you may not despise renting it.